How much is Anderson Silva Worth? Anderson Silva net worth and salary: Anderson Silva is a Brazilian Mixed Martial Artist who has a net worth of $18 million. Anderson Silva was born in Sao Paolo, Brazil on April 14, 1975. 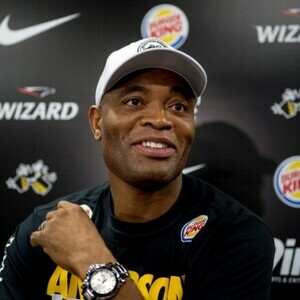 A very successful mixed-martial arts fighter, Anderson Silva is one of the top UFC Middleweight Champions. 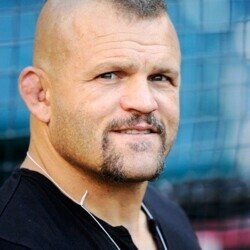 Nicknamed "The Spider", Anderson holds numerous records with the UFC, including the record for the longest winning streak in UFC history and the record for longest reigning champion, with five years in a row at the top. He is 6 feet 2 inches tall, 185 pounds with a reach of 77.6 inches and fights Southpaw. As of December 29, 2013, Silva's UFC record out of 39 matches is 33 wins and six losses. Out of his 33 wins, an impressive 20 came by knockout, six came by submission and seven came by decision. On December 28, 2013, Anderson Silva faced Chris Weidman at UFC 168 in Las Vegas. The event was a rematch of UFC 162 back in July 2013 where Silva lost by knockout to end his record breaking win streak. In the second round of UFC 168, Anderson suffered a gruesome leg break when Chris checked a kick. Silva required immediate surgery to repair a severely fractured fibula. Silva is expected to be injured for at least 6 months, possibly a full year and it's possible he may never return to the Octagon again. Anderson is married to a woman named Dayane, with whom he has two daughters and three sons. The family resides in Curitiba, Brazil, so Anderson can stay close to his official training gym. 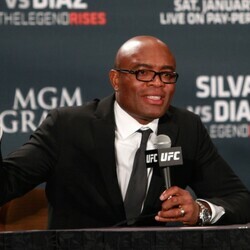 UFC president Dana White has referred to Silva as the greatest mixed martial artist in history.